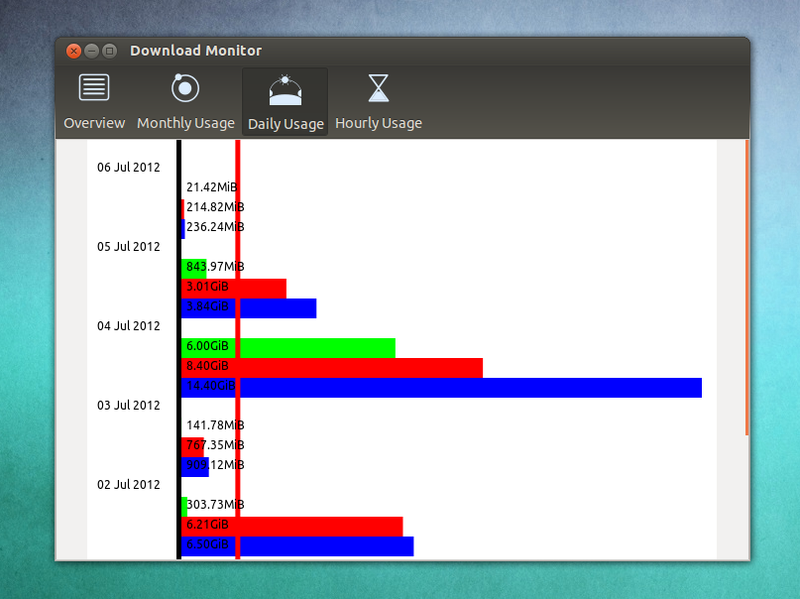 Download Monitor is an application developed for the Ubuntu Apps Showdown, useful for computers with a limited Internet plan. The network monitor application displays monthly, daily and hourly amount of data transferred over the network and it can warn you using desktop notifications when you're about to exceed the usage quota, which you can set from its preferences. 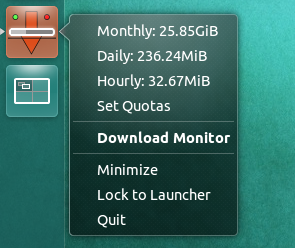 For other Linux distributions, you can get Download Monitor via Launchpad.